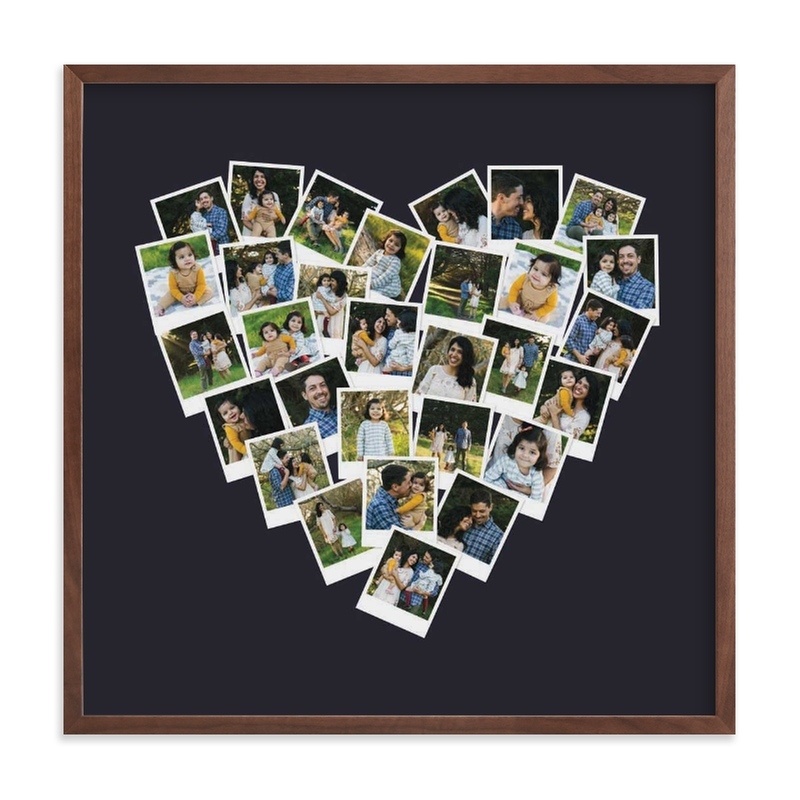 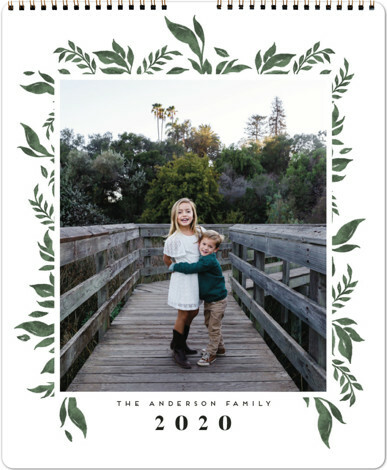 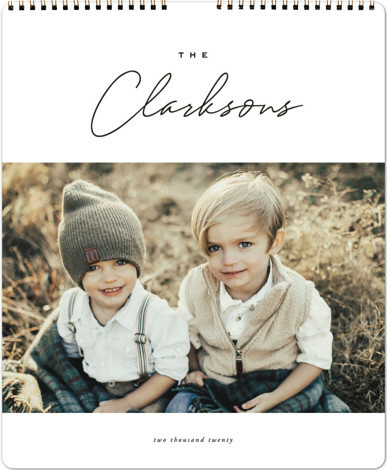 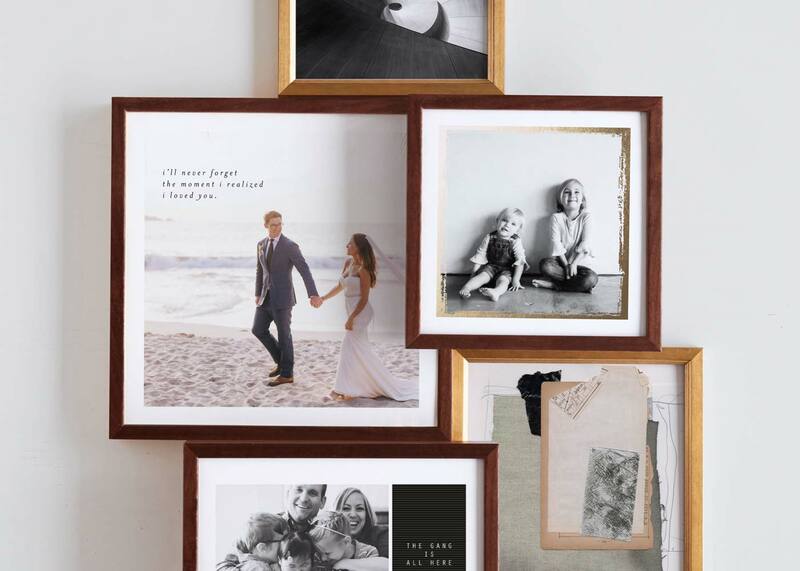 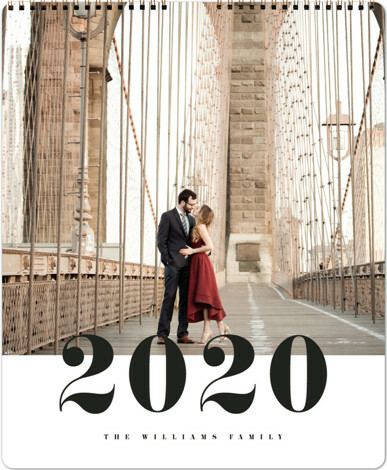 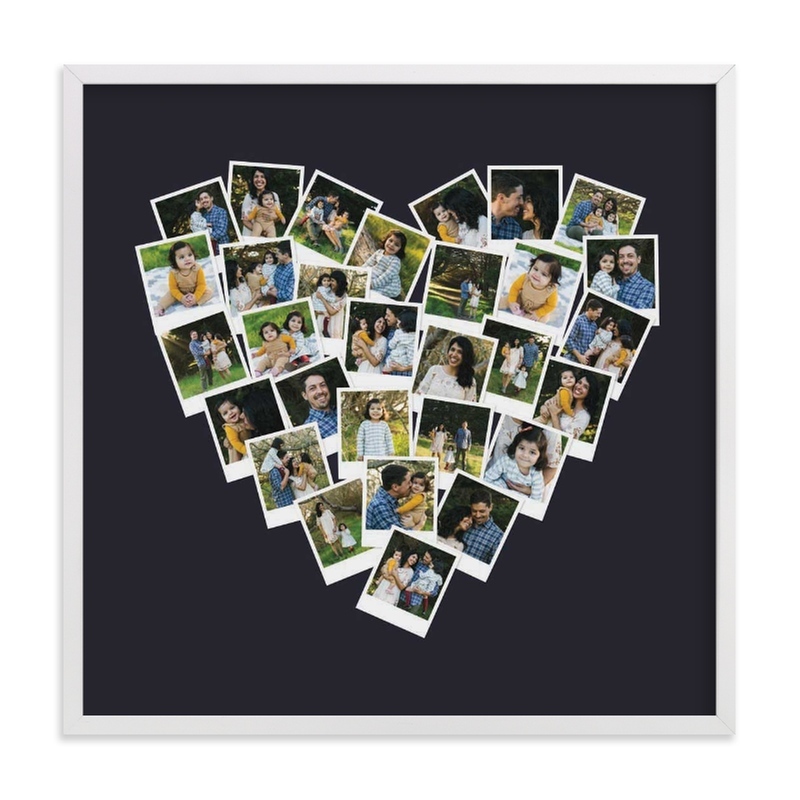 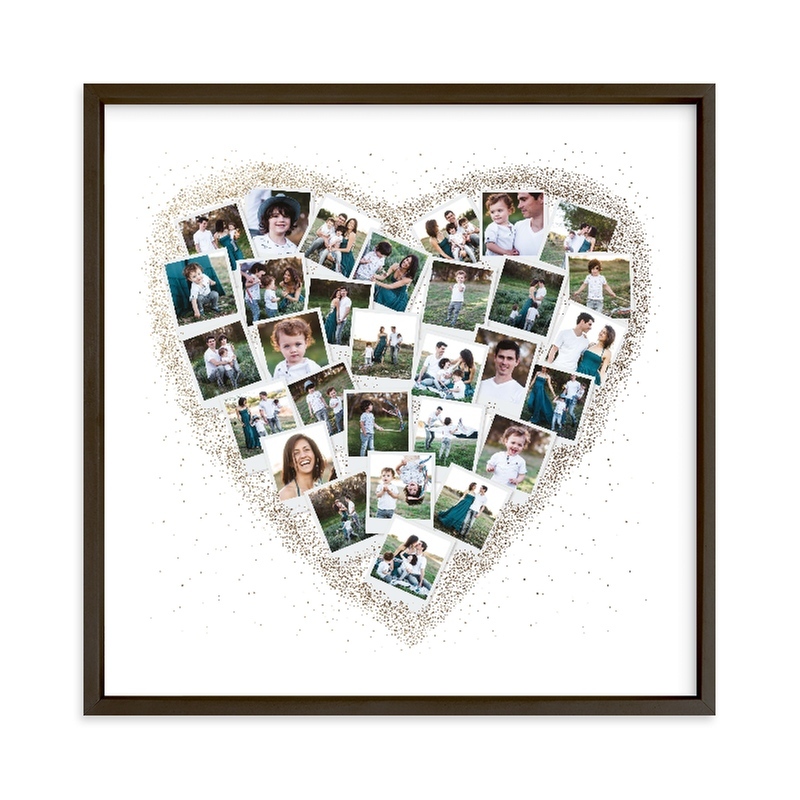 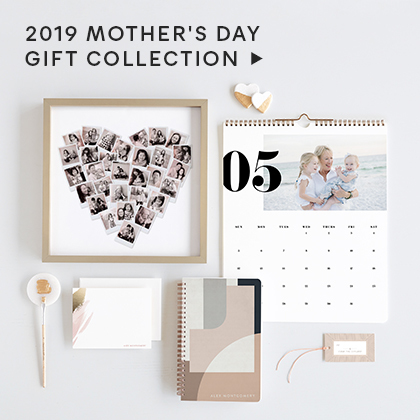 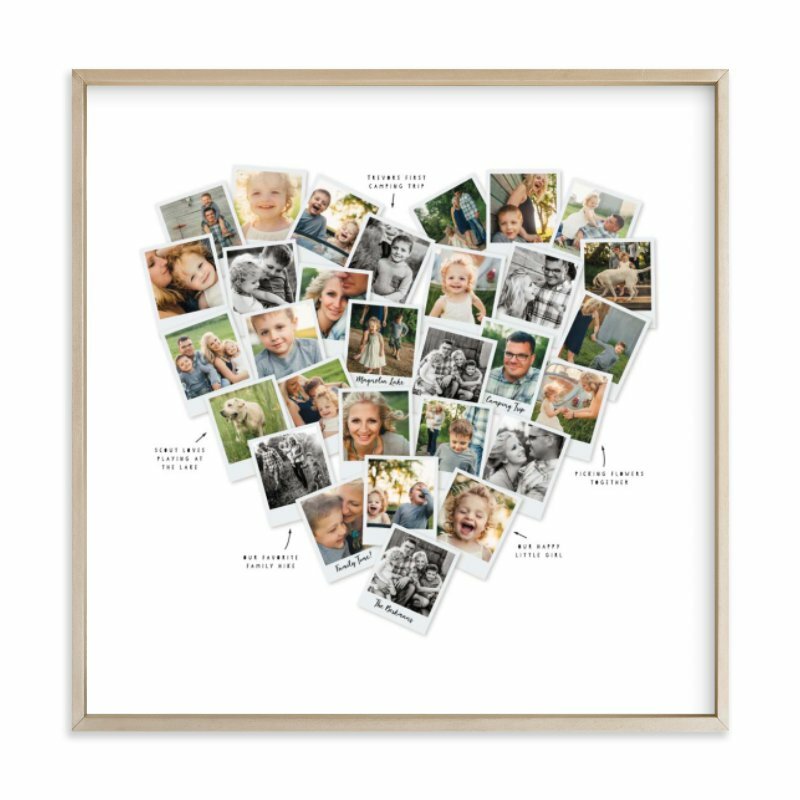 Customizable with 30 of your favorite photos — available in a variety of styles and backgrounds. 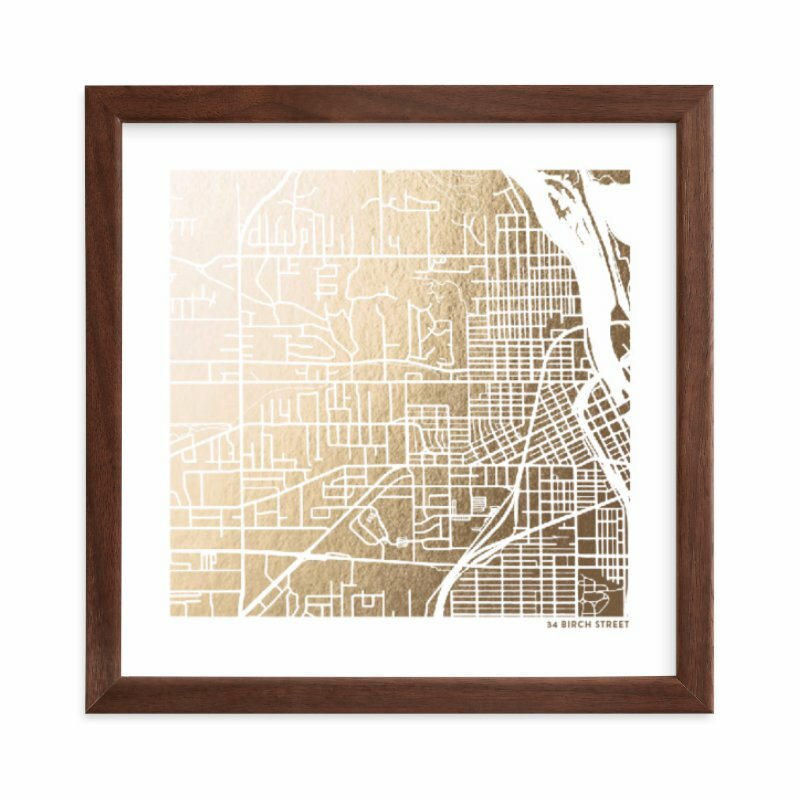 Starting at $42 for a framed 8" x 8". 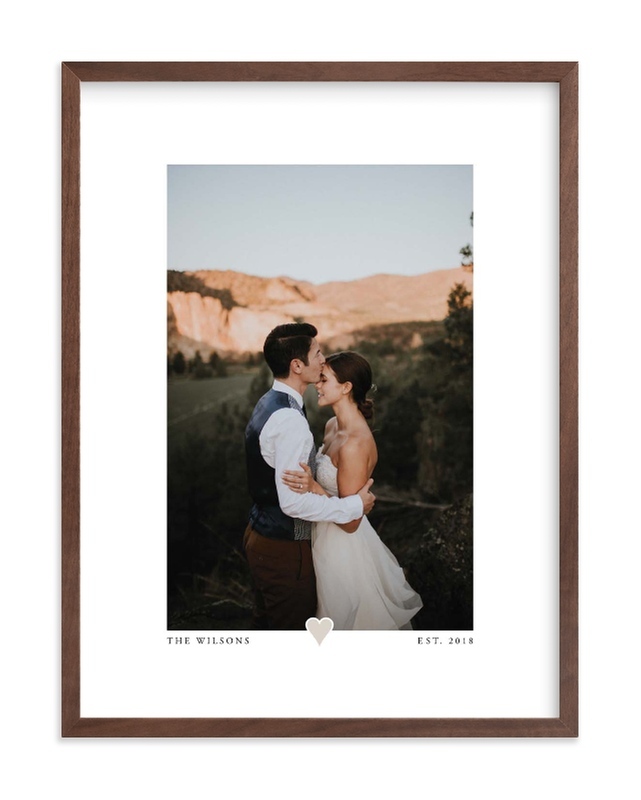 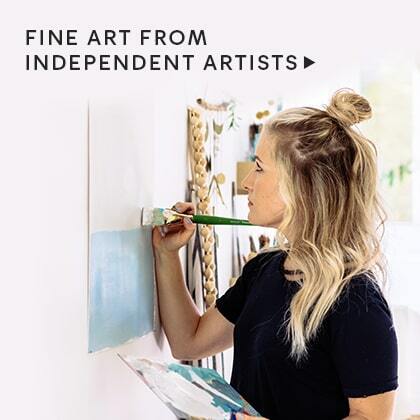 Unique designs from independent artists, personalized with your photo, printed on premium matte paper and framed with high quality materials. 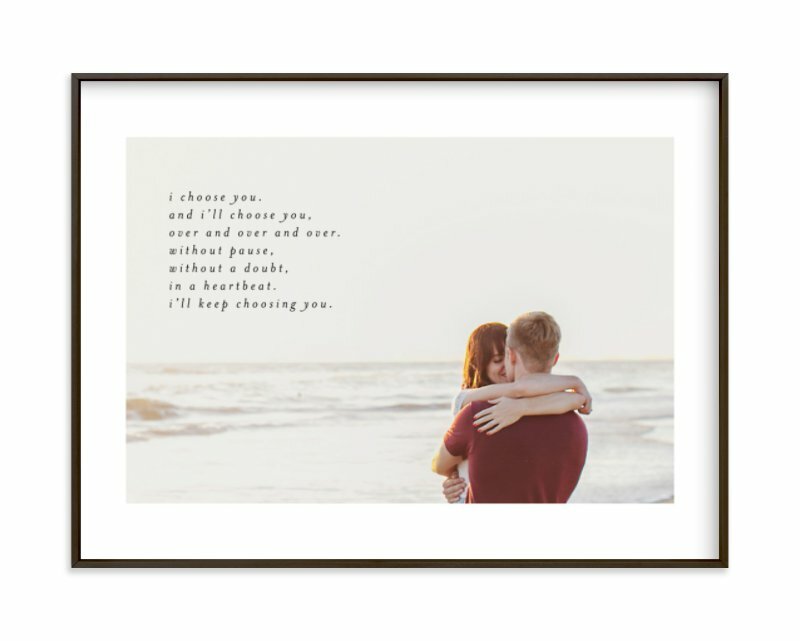 Starting at $29 for a framed 5" x 7". 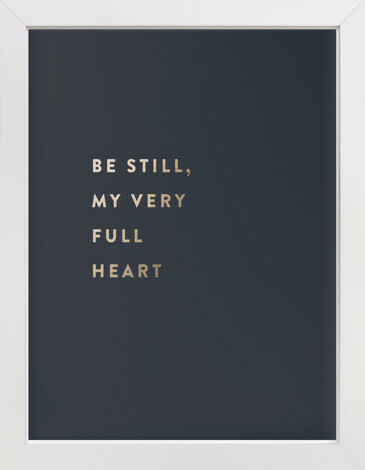 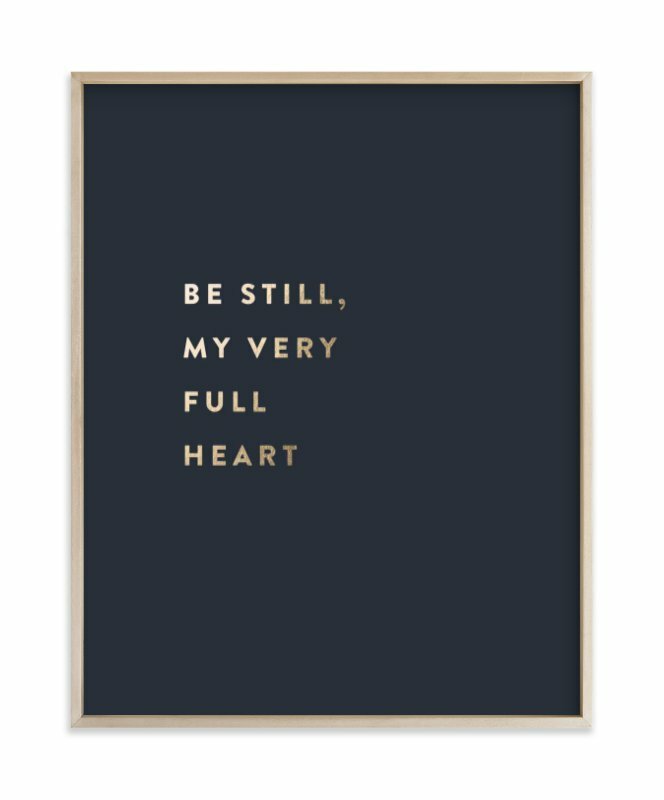 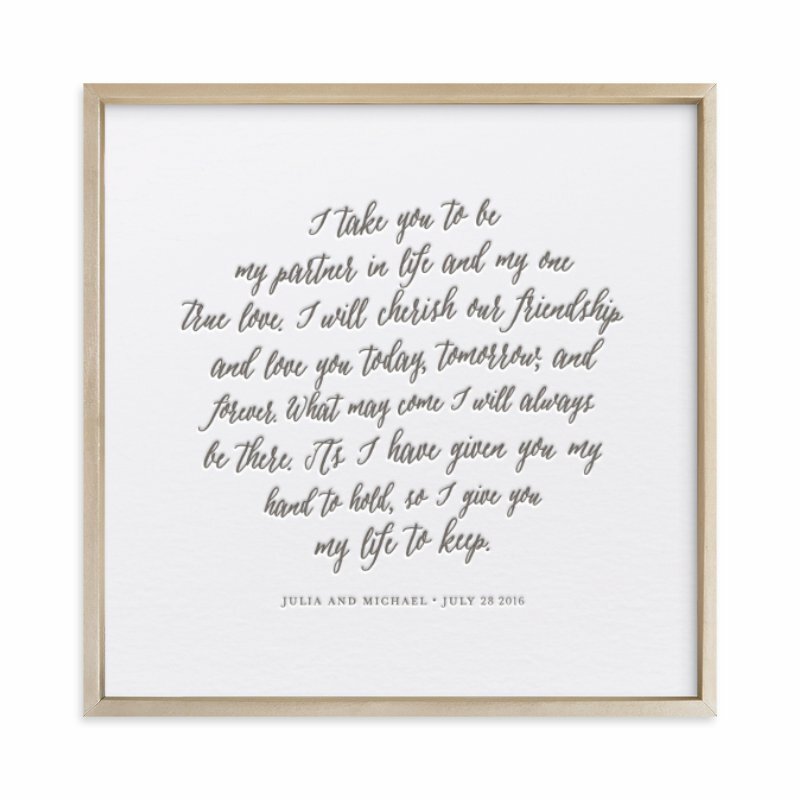 Commemorates your vows, special quote or poem—available in multiple styles and on a navy backdrop. 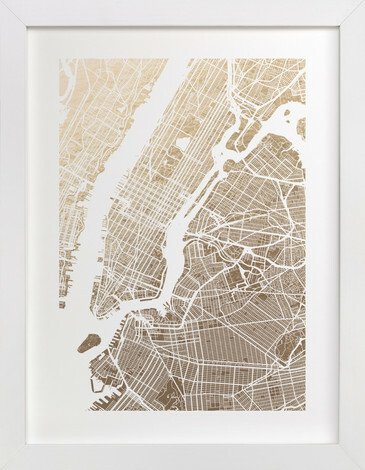 Starting at $41 for a framed 5" x 7". 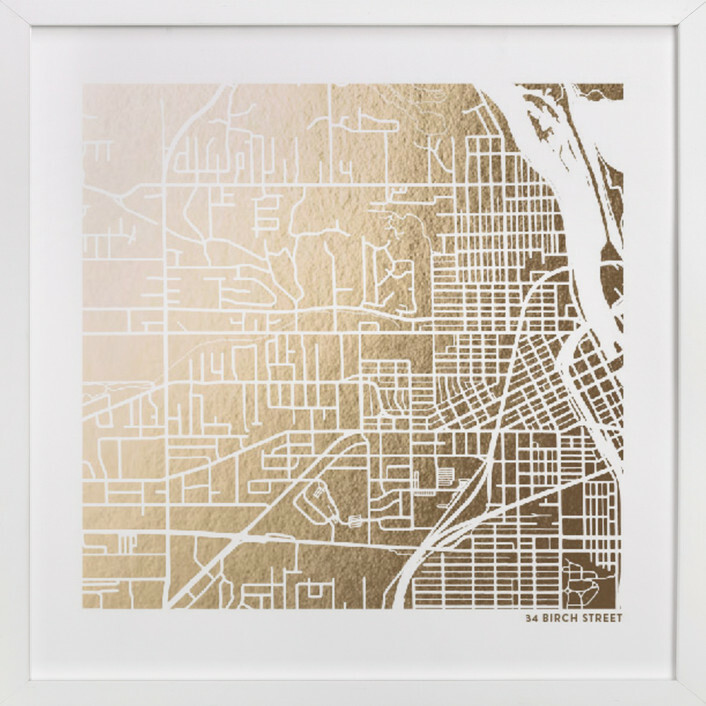 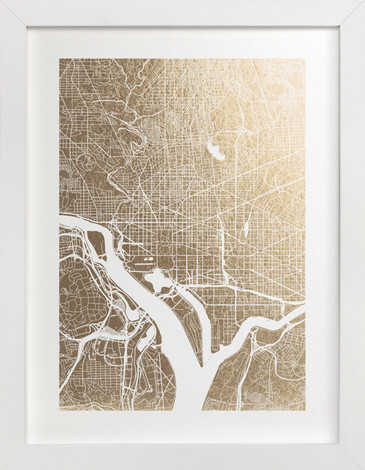 Your favorite location, hand-pressed with real gold or silver foil. 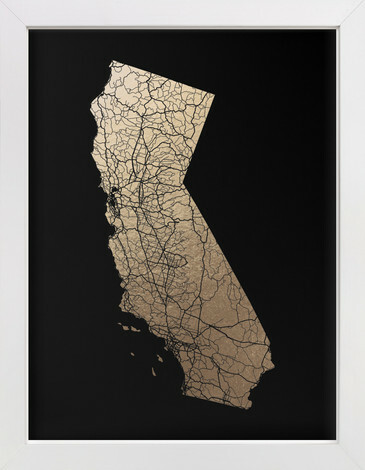 Starting at $40 for a framed 5" x 7". 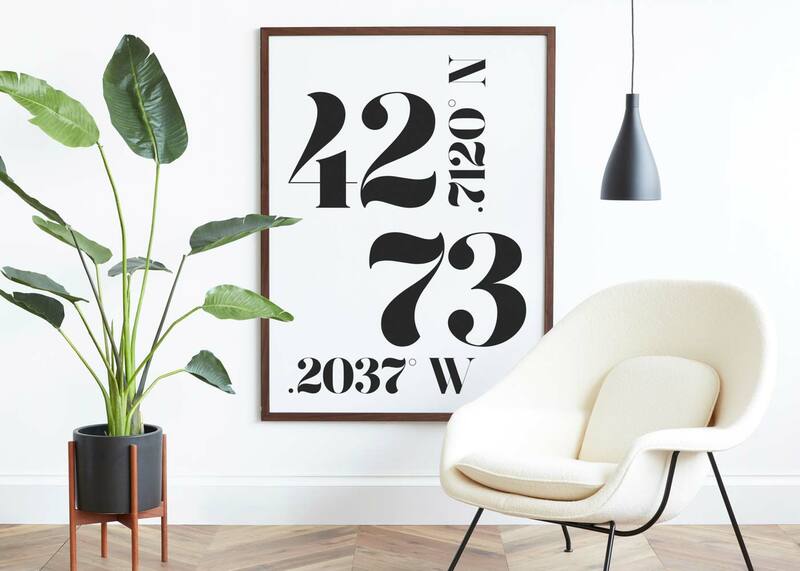 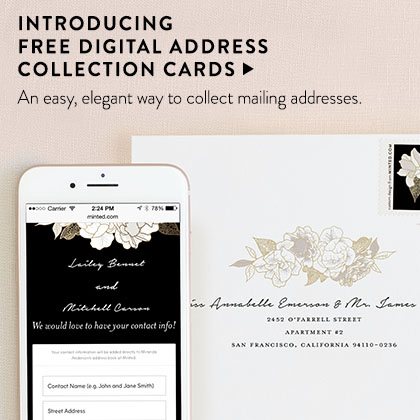 Customize with the coordinates of a personally meaningful location for a unique gift. 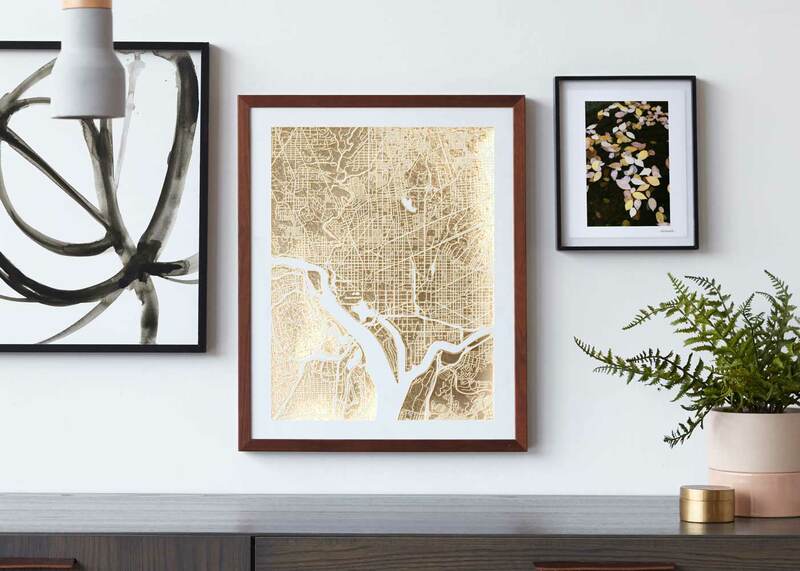 A special date transformed into art with this modern design. 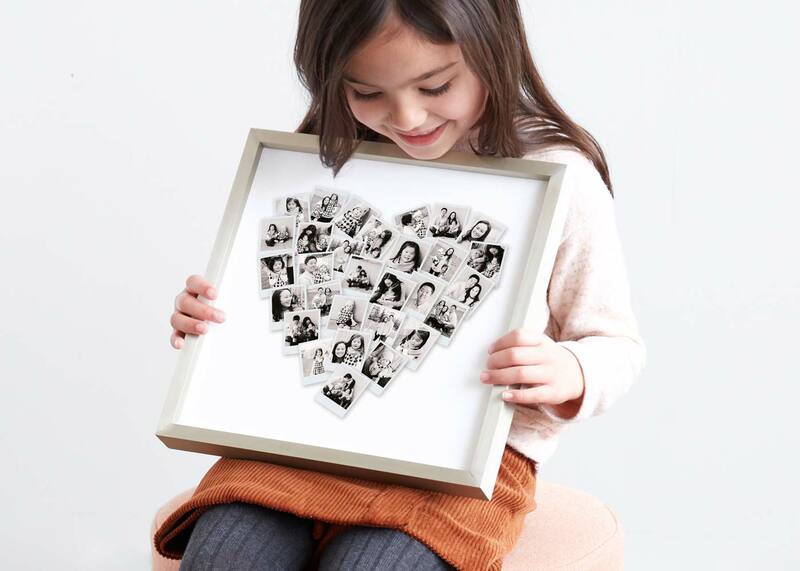 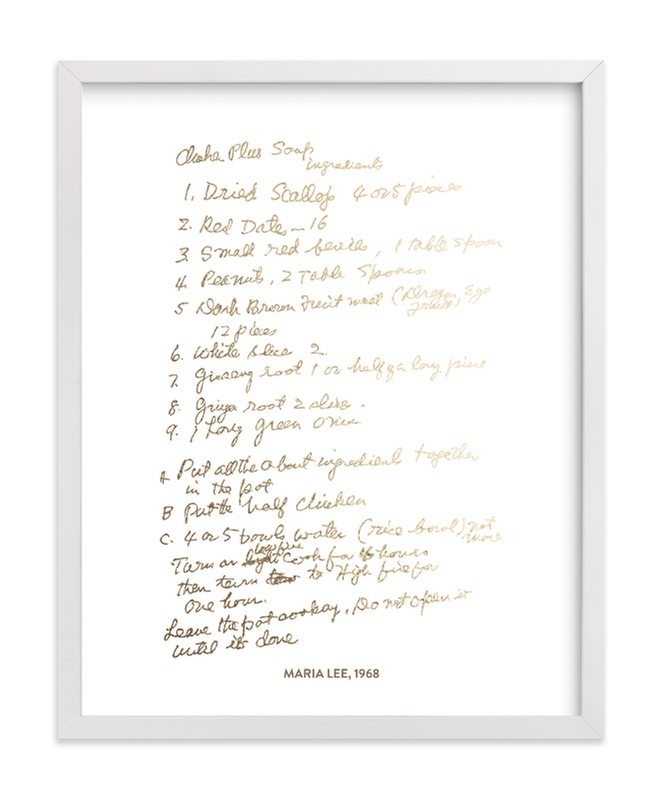 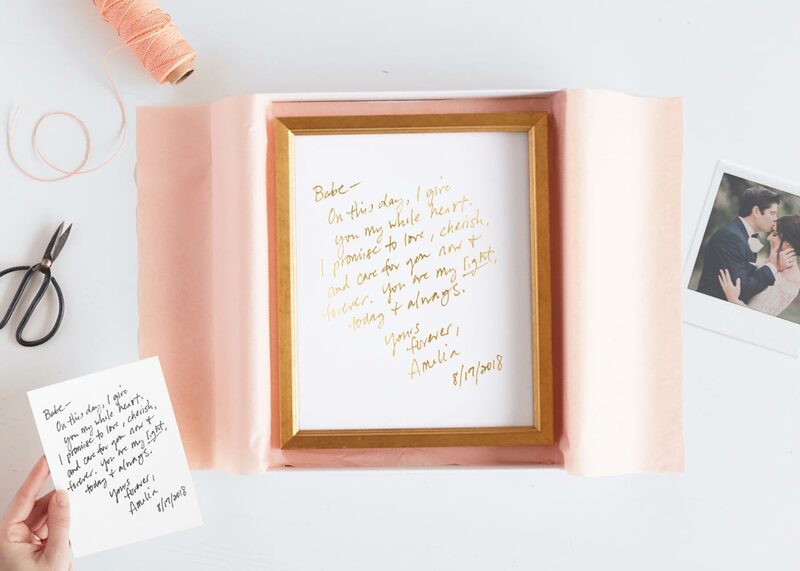 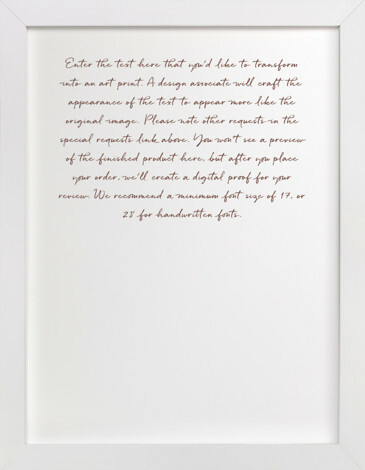 A handwritten note or drawing turned into a memorable, foil-pressed keepsake. 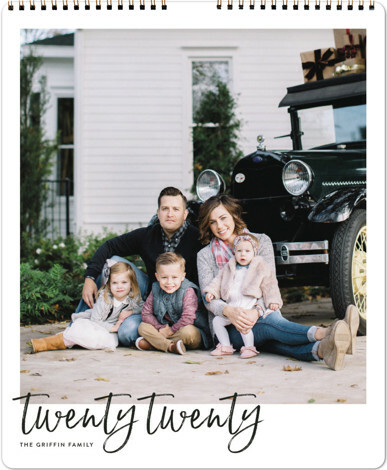 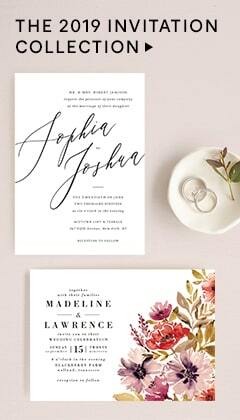 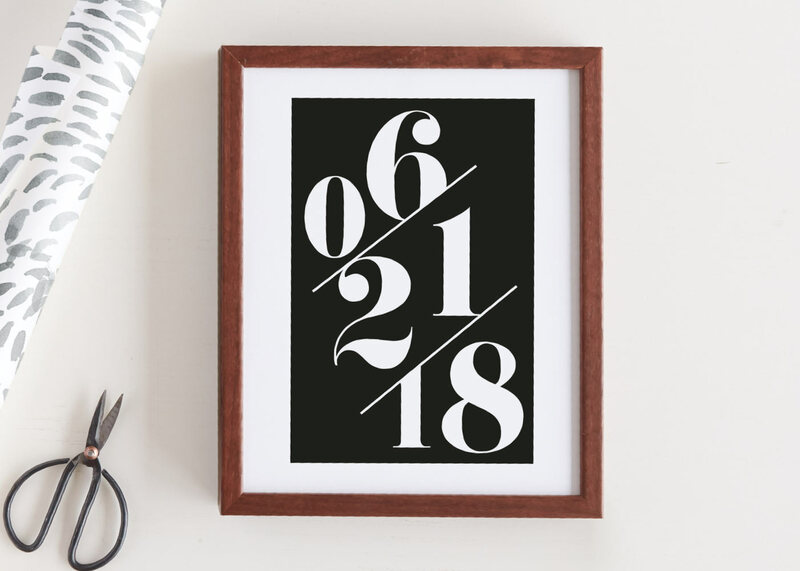 Unique, customizable calendar designs printed on luxe paper. 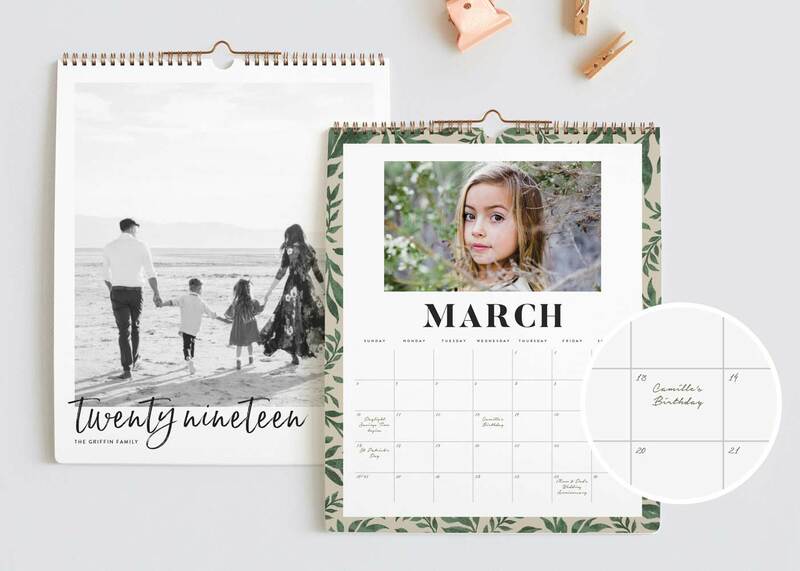 Mark birthdays and special dates and we'll save them, making future calendar orders even easier. 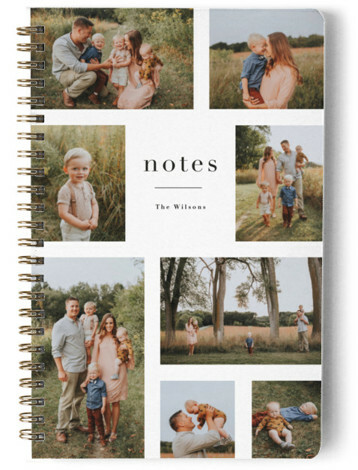 Add 10 personal occasions and receive a FREE CALENDAR. 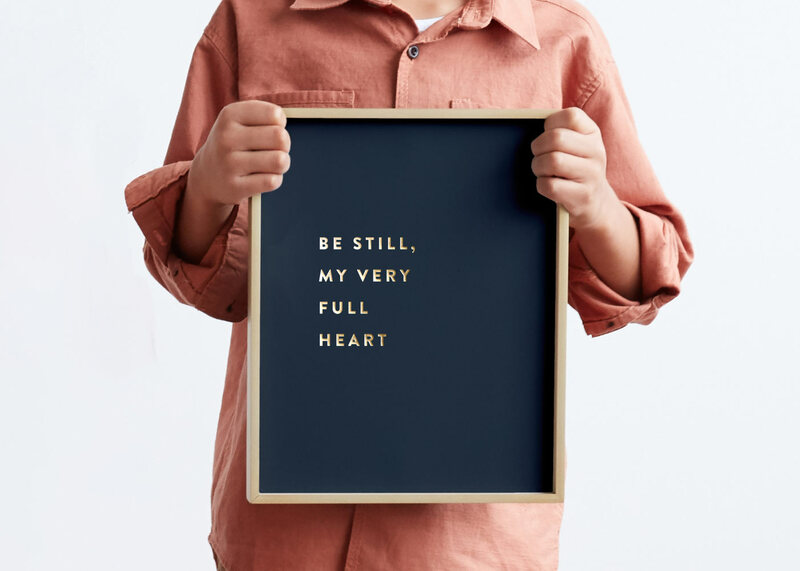 Available in two sizes, starting at $29. 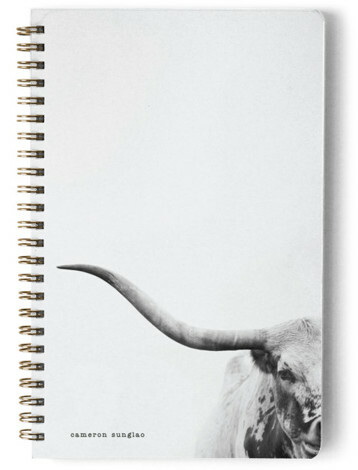 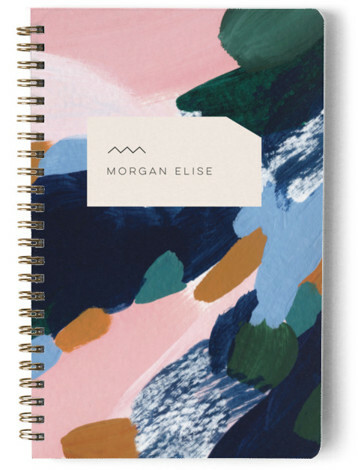 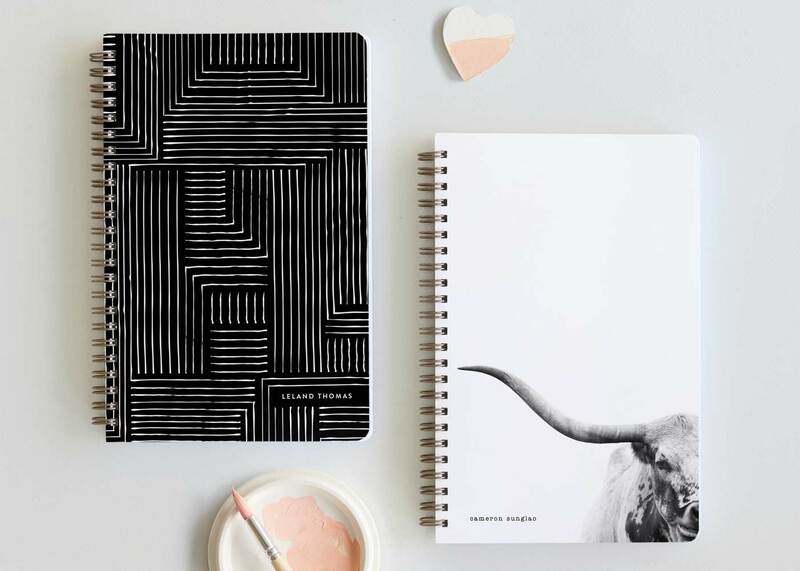 Customize your notebook as a planner, address book, or 80-page joural and personalize your cover to make the perfect gift. 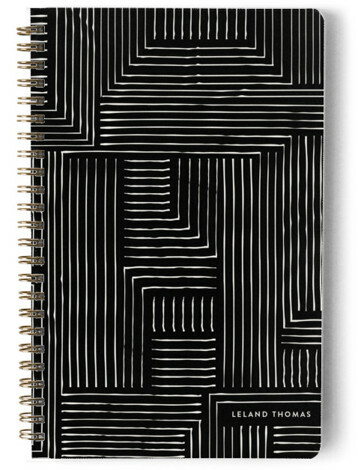 Spiral-bound with brass.